Labels stick, stay and remove cleanly to make changes and revisions. Each label adheres to smooth surfaces, including paper, cardboard, plastic, wood, glass, metal and more. 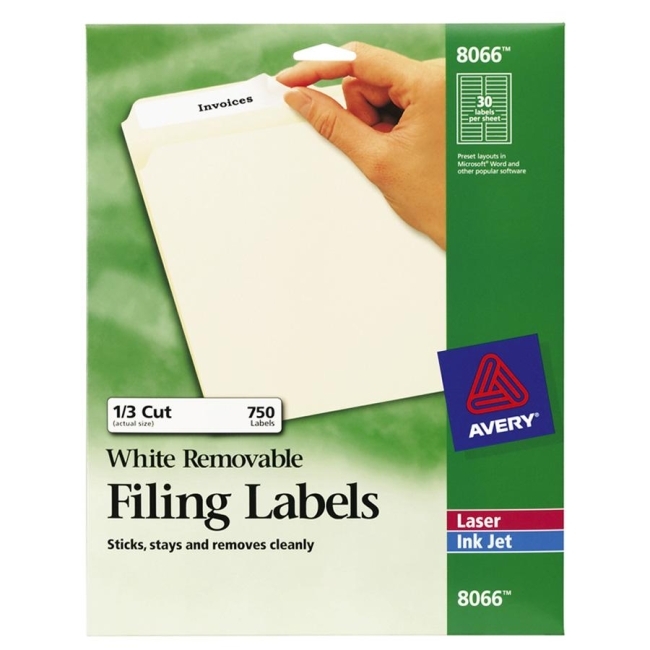 Labels are sized for 1/3 tab cut file folders and can be customized with a laser or inkjet printer. Avery offers many easy-to-use templates for Microsoft Word and other popular software programs. Each sheet has 30 labels.